The 2014-15 Lincoln Stars will open up preseason play this weekend with three games at the USHL Atlantic Challenge in East Meadow, NY. Click here to read more about the Atlantic Challenge, which will take place at the Twin Rinks Ice Center of Eisenhower Park. This is the second year of the USHL Atlantic Challenge, but the first time the Stars have participated in it. As I noted above, the Stars will play a total of 3 exhibition games at the Atlantic Challenge against foes from the USHL's eastern conference. I will post Lincoln's schedule of games below, and then I will talk a little about each of the teams the Stars will face. Quote here from Scott: "The Roughriders return 12 players from a team that placed 2nd place in the Eastern Conference last season. Three other player have USHL experience." "The strength of the Roughriders will be in net. Danny Tirone returns after posting a record of 26-13-2 with a GAA of 2.63. 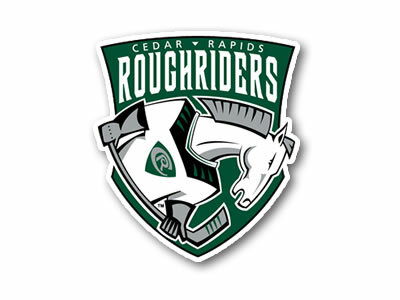 The Roughriders also drafted Ben Blacker in the Indiana Ice Dispersal draft. The Eastern division is going to be strong this year but the Roughriders should battle for one of the 4 playoff spots." 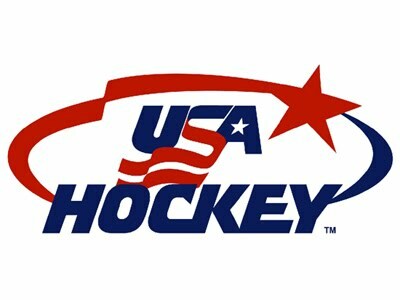 The NTDP U-18 squad represents what USA Hockey believes to be the best USA-born hockey players under the age of 18. Although young, these "kids" will play a tough schedule against international, college, and USHL competition during the 2014-15 season. Two players on the current U-18 squad have Lincoln Stars ties. USA forward Michael Floodstrand was selected by the Stars in the 2013 Futures draft, while USA forward Troy Terry was selected by Lincoln in the Indiana Ice dispersal draft this past May. 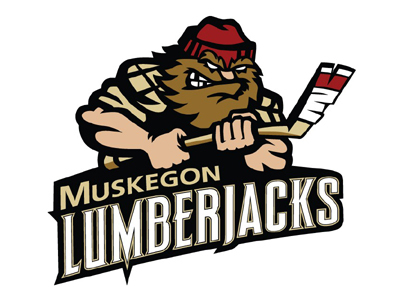 I've chatted with a few folks who closely follow the eastern conference USHL teams, and most agree that the Lumberjacks are posed to have a big season in 2014-15. I've been told they are deep, talented squad. Current Stars GM Jon Hull came to Lincoln from the Muskegon Lumberjacks, and his former team has become a frequent trade partner now that he's with the good guys. Current Stars with Muskegon ties are Connor Frantti, Cameron Lee, Blake Christensen, and Grant Jozefek. The Stars and Lumberjacks will meet again in the preseason on Saturday, September 20th at the 2014 USHL Fall Classic (West). The USHL Atlantic Challenge website has posted the rosters of all teams competing this weekend, including Lincoln's. Click here to see the Stars' roster. Two notable omissions are defensemen Anthony Wyse and Dylan Woolf, Lincoln's top two draft picks in the 2014 USHL Entry Draft. I am unsure why those two are not listed. Like any other preseason tilt, these Atlantic Challenge games will give the Lincoln coaches and other staff a good opportunity to see the players in action to determine if they deserve a roster spot. Every USHL team has to cut down to 23 players before 9/22, so there will be some fierce competition for those roster spots over the next few weeks. Not only will the players look to impress the Lincoln staff this weekend, but they'll also play in front of both college and pro scouts at the Atlantic Challenge. For those players who have not committed to a college, this will be an opportunity for them to possibly pick up a scholarship offer. This trip to New York will be a bit of a homecoming for a number of players on the Lincoln roster. Forwards Dominik Sacco (Brooklyn, NY), Michael Gillespie (New City, NY), and Grant Jozefek (Chester, NJ) will certainly have a lot of friends and family present to root them on in person. Some good news is that FastHockey will broadcast all of the games from the USHL Atlantic Challenge for FREE. With no radio broadcast available, watching on FastHockey is the only way to follow these games, save for the boxscores on Pointstreak. I assume the USHL Atlantic Challenge website will also post frequent updates. Hockey season is here! I'm really looking forward to seeing this young group of Stars back in action. I'm also excited to see how the new players react in their first ever USHL game environment. Check back here for recap articles after each game. I will also provide updates on the blog's Twitter account as well. I've heard yeti say that we're one of the youngest teams in the USHL this year....does anyone know how we stack up size wise?? I know management has made a commitment to keep us out of the penalty box this year but with a younger team, I'm just hoping we don't get shoved around on the ice too much.